Pregnant female mosquitoes which sting on human will flee away from male mosquitoes. The Mosquito Repeller works to emit sound waves of frequency range 5,000-9,000 Hz which is same frequency range as produced by male mosquitoes. 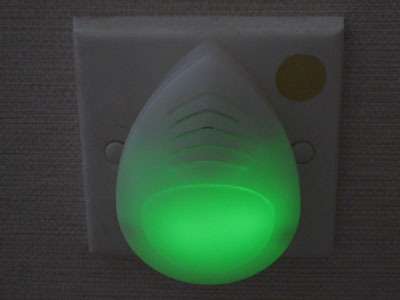 The device is designed with built-in green neon night light which is good for eyesight. Application : Ideal for household, office, and commercial business. 48pcs./ inner ; 96 pcs / export carton. Meas. 56.2 x 44.2 x 27.3 cm. ( 0.068 CBM) ; GW: 8 KG.